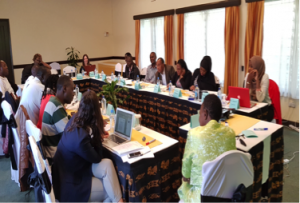 The Auschwitz Institute for Peace and Reconciliation (AIPR) and the Kenya National Committee for the Prevention and Punishment Prevention of Genocide, War Crimes, Crimes Against Humanity and All Forms of Discrimination (KNC), held a training seminar on the prevention of genocide and mass atrocities in Kenya on May 10-12, 2017, with the support of the German Federal Foreign Office. The multi-day seminar, which was held at Sarova Lions Games Lodge in Nakuru, featured the Auschwitz Institute’s first all-female instructor staff. 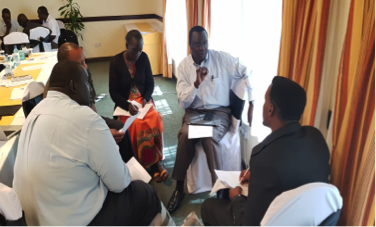 Throughout the presentations and discussions that took place at the seminar, participants focused on an examination of the state of mechanisms for the prevention of genocide and mass atrocities in Kenya as the country approaches its August 2017 elections. Among the primary outcomes was the identification by participants of a low level of general readiness, exhibited by both the State and civil society organizations, to prevent an eruption of violence as the country moves towards, and conducts, its upcoming elections. Evidence of this, they indicated, can be found in the appearance of various forms of rioting, continued hate speech and negative campaign messages that have manifested most frequently in sub-national political contests such as provincial elections. To this end, recommendations aimed at intensifying early warning activities were produced, highlighting activities that can be conducted, for example, through the UWIANO Platform for Peace and through early response initiatives promulgated by the State involving bodies such as the Kenyan National Police and the Independent Electoral and Boundaries Commission, as well as other initiatives and organizations dedicated to improving security. Participants were also exposed to, and discussed, a range of approaches to the prevention of genocide and mass atrocity crimes, including the role of human rights, rule of law, memorialization, transitional justice, and gender mainstreaming in prevention. 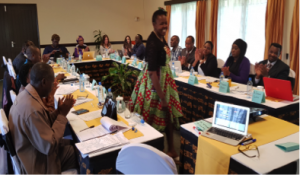 During these sessions dedicated to debate and interaction, participants considered the planning, implementation and institutionalization of associated programs and projects with a view towards promoting the observance of, and respect for, human rights and justice for all regardless of political affiliation, gender, tribe or religion. KNC members also discussed ongoing projects including development of a National Law on Prevention of Genocide and Mass Atrocities, construction of a Never Again Memorial in Nairobi, and the organization of a local level peace forum in identified vulnerable communities.